Handmade earringsThere are 80 products. Each piece of handmade earrings from Unikatnica is OOAK (one of a kind) and designed for women who love uniqueness, style, elegance and beauty. 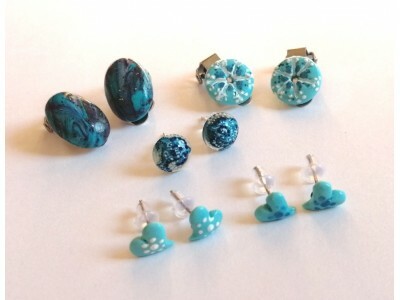 All unique handmade earrings from Unikatnica are made from Fimo and Cernit Clay and other skin friendly materials which are nickle-free and can also be worn by people with allergies.